"The house looks really gorgeous. You've done a cracking job!" "Just got home from work and the house looks fantastic!" "Lisa worked through the priorities which were different following the Christmas break andit was brilliant that she left me a note so I know what was left for me to cover this weekend - much appreciated"
"The clean we had yesterday was exemplary and we were extremely pleased"
"WOW!! We thought the last clean was great but this one is outstanding!!! It was lovely to have a note left from our two cleaners. Thanks for a great job to all of you!!" "Today has been the best clean so far. The ladies have done an excellent job!" "Freshly Maids did a fantastic job cleaning my house prior to new occupants moving in. They were quick, efficient and a pleasure to deal with"
"Definitely 5 out of 5 for Janet. Pleasant, diligent, all round excellent. You are very lucky to have such good staff"
"Fabulous! 5* I love the little touches this cleaner does – like curling the handbasin and bath sink plug in just a particular way. Please can you tell her this so that she knows I notice these things?" "I need to compliment the ladies that came yesterday on the thoroughness of the clean. I know our house is a challenge with all the dust, but the attention to detail they paid to the kitchen was amazing!" "Thank you, absolutely fab! Lovely now my house is ready for the guests to arrive!! Have a good Christmas"
"So pleased, absolutely delighted with yesterdays clean. I keep finding little things they've done as the day goes on. Lovely girls." "So happy thanks. Has taken so much pressure off me and I am delighted every time I walk through the door on a Tuesday." "Thank you , the house was a mess as the kids had had a lot of friends over, so you did a particularly good job - thank you!" "I am very pleased with the cleaning today please pass on my thanks to the ladies involved"
"Excellent! Lovely thorough clean and plenty plenty of initiative with putting things in order. Thank you!" "Janine always does things with such care. She's really fantastic"
"Not only is the cleaning to a good standard but there is always a cheerful smile and lovely manner in which the work is done"
"The lady who has been here today is fantastic! She does so much and is super efficient"
"Once again I cannot fault the service - Excellent!" "Fantastic, so helpful and kind and a great job, thank you so much"
"As always the service you and your team provide is fantastic!" "Thanks to all the girls who havemade our life easier!" "Thank you for doing such a brilliant job"
"it is such a pleasure to have a shining home and the ladies are lovely"
"We are very pleased with your team, they do a great job!" "your ladies are amazing, what a joy to come home to a lovely clean house"
"I was very pleased with the cleaning and looking forward to you coming again on 24th" Feb 2009. 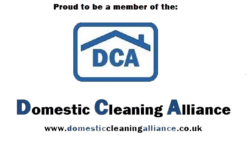 "James and Debbie worked really hard and the house was probably the cleanest it has been in years. The viewing went well and we are hopeful we may have a buyer". "Thanks for the spring clean it was lovely to come back to and they’d done a great job. Looking forward to Debbie arriving tomorrow for the regular clean". It is always great to hear what our customers think of our services.